Awaken Your Divine Self Achieve Your Soul Purpose Accomplish Your Life Calling Discover the deeper meaning and purpose of your life and reclaim your true destiny. Divine Living is the preferred lifestyle choice for many spiritually awakened souls all over the world. It is the new way of being that changes your life and perception of reality forever. As a species we are currently experiencing the inevitable dawning of a new era in human ascension. The new age of conscious evolution has begun. This book is your personal survival guide to successfully navigate this looming, global paradigm shift, which is gradually gaining critical mass all over the planet. 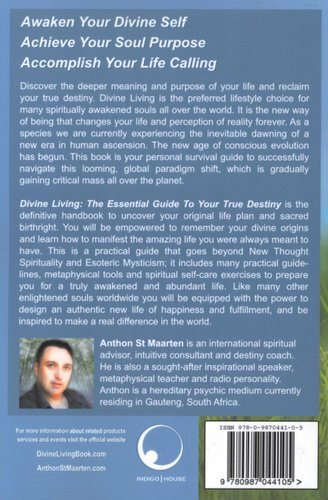 Divine Living: The Essential Guide To Your True Destiny is the definitive handbook to uncover your original life plan and sacred birthright. You will be empowered to remember your divine origins and learn how to manifest the amazing life you were always meant to have. 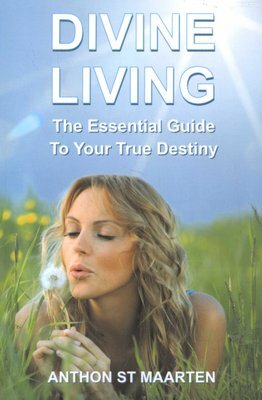 This is a practical guide that goes beyond New Thought Spirituality and Esoteric Mysticism; it includes many practical guidelines, metaphysical tools and spiritual self-care exercises to prepare you for a truly awakened and abundant life. Like many other enlightened souls worldwide you will be equipped with the power to design an authentic new life of happiness and fulfillment, and be inspired to make a real difference in the world.